Baker is a Pasadena native. As a painter with a Studio Art degree from Stanford University, she is a passionate patron of the arts. 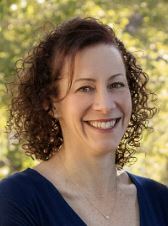 Baker received her MBA from Claremont Graduate University and is currently the vice president of Marketing Communications for Trader Joe’s and an officer of the Fitzberg Foundation. She is also a member of the Huntington Library, Arts Collections and Botanical Gardens Overseers’ Marketing Committee. Baker resides in Pasadena with husband Jeremy and their two children. Boone is a collector and philanthropist who has been active in numerous Southern California organizations. Her French ceramics collection was recently on display at LACMA. Her devotion to the Huntington Library culminated in the transformation of the former Henry Huntington carriage house into an exhibit gallery, named The MaryLou & George Boone Gallery. 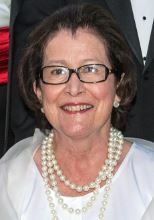 She is a trustee emerita of the Huntington Library. McCarthy has spent his entire career in high-growth businesses and likes to share his knowledge and insight with others. 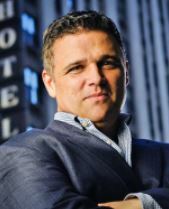 He’s the editor and main contributor to SellingOut.com, a website for live entertainment and arts marketers. He’s the curator and co-founder of TEDxBroadway, the sold-out annual event dedicated to the question: “What’s the Best Broadway Can Be?” He’s spoken at conferences all over the world, including TED, SXSW, INTIX and more. His articles have been in Forbes, Fast Company and Business Insider. McCarthy studied English at Harvard University and received an MBA at UCLA Anderson School of Management. He’s the organizer of the Pasadena Entrepreneurs’ Mastermind Meetup. McCarthy is also a very active member on the board of directors for Union Station Homeless Services. McCormick is a longtime Pasadena resident active in civic affairs. He was an investment banker for most of his career, at Kleinwort Benson in London and J.P. Morgan in New York and Los Angeles. He now manages an urban planning and development firm in the Playhouse District. 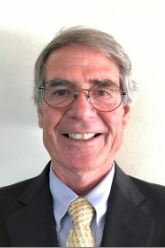 McCormick is currently a member of the Huntington Library Board of Overseers, on which he has served for two decades. 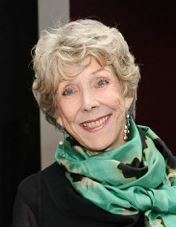 McCormick is also a member of the Playhouse District Association Board and the Flintridge Prep Board. He and his wife Tracy were recently honored at the Pasadena Museum of History’s Contemporary History Makers Gala. Rothenberg has been involved in a wide-range of community activities in the Pasadena area. She is currently chair of the board of trustees at the Huntington Library, where she has been involved in governance since 2001. She is a co-founder of the Westridge School Summer Opportunities Fair, a former member of the board of the Los Angeles Philharmonic, and a past president of the Showcase House for the Arts. For more information about Pasadena Playhouse, visit pasadenaplayhouse.org.